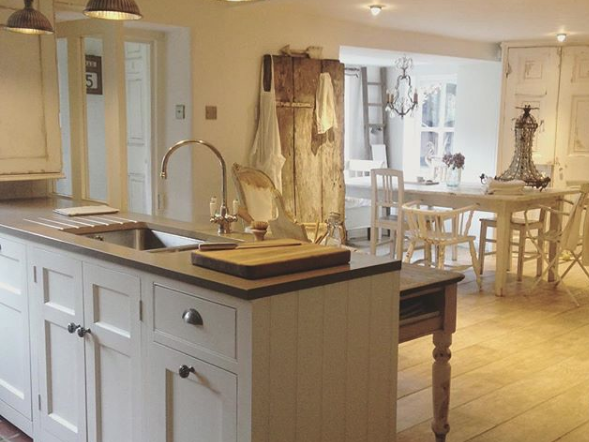 Creating each kitchen bespoke, our designers are unconstrained by set designs and are free to accentuate characterful nooks and architectural details of traditional properties. 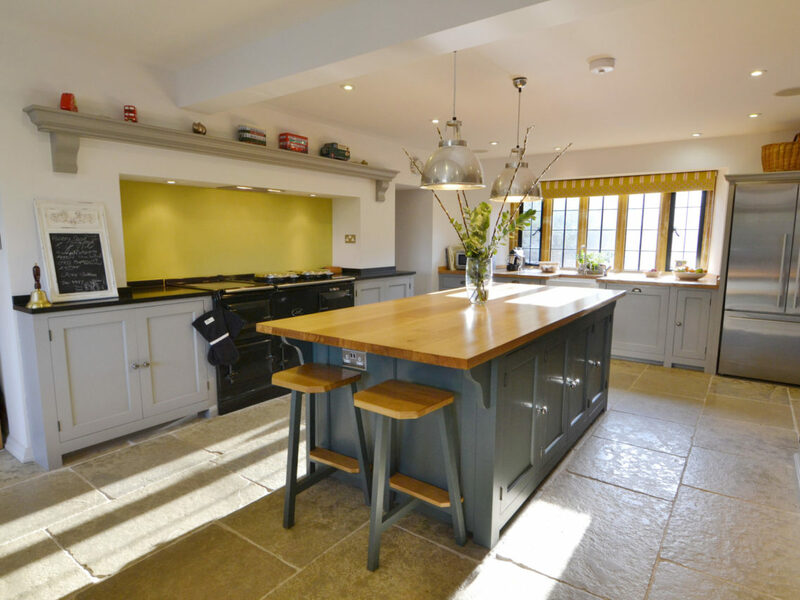 Open-plan designs that embrace the feeling of space; mixing large, modern fitted and free-standing appliances with traditional kitchen storage. 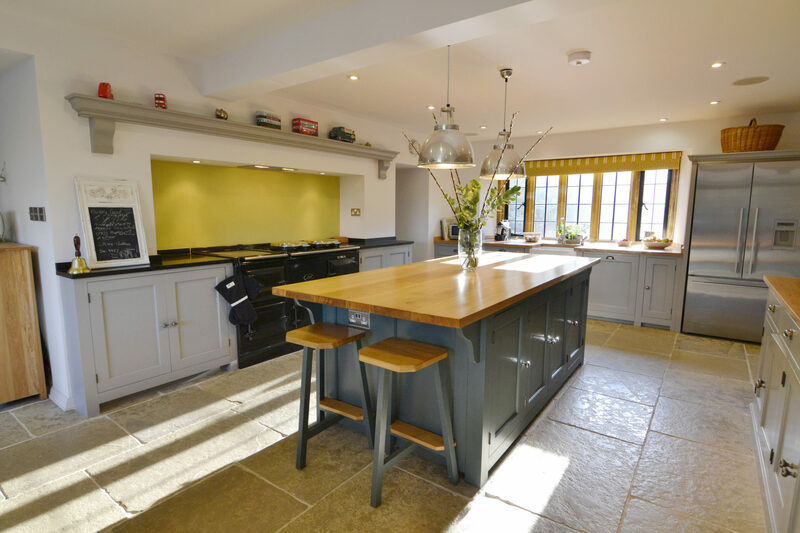 Generous spaces will comfortably house a central island breakfast bar helping make the most practical use of space, combining useful storage and seating and in smaller spaces adopting a linear design and a mix of closed cabinets with open shelving and storage to create a more relaxed, informal look and avoids everything feeling cramped. 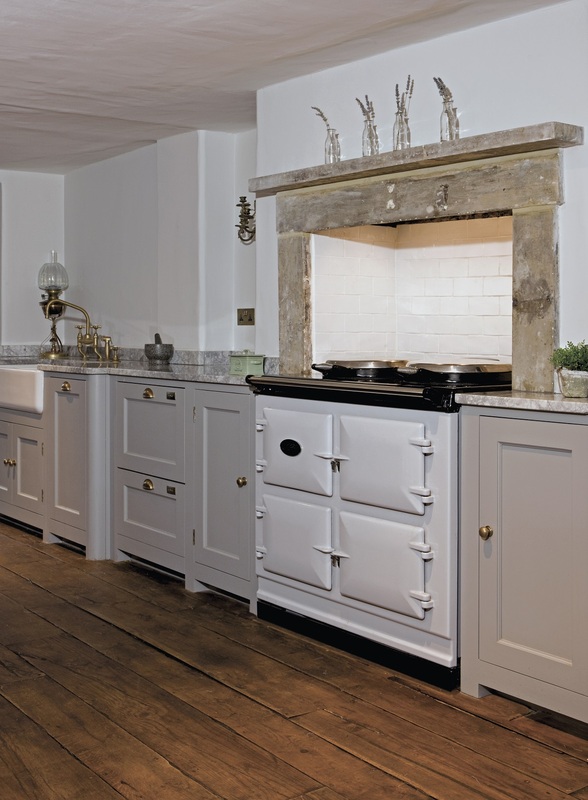 In older properties we will exploit existing structural features to their best advantage: an open, unused chimney place is ideal for housing a range cooker and makes a strong focal point in the room. 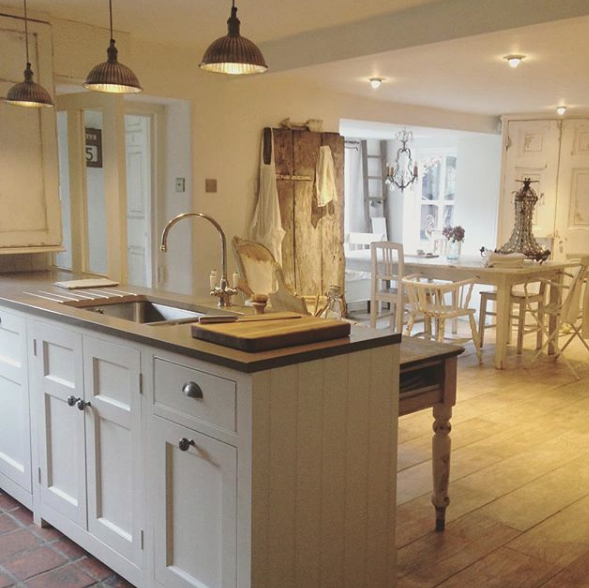 Stylish, sophisticated and endlessly practical country kitchens. 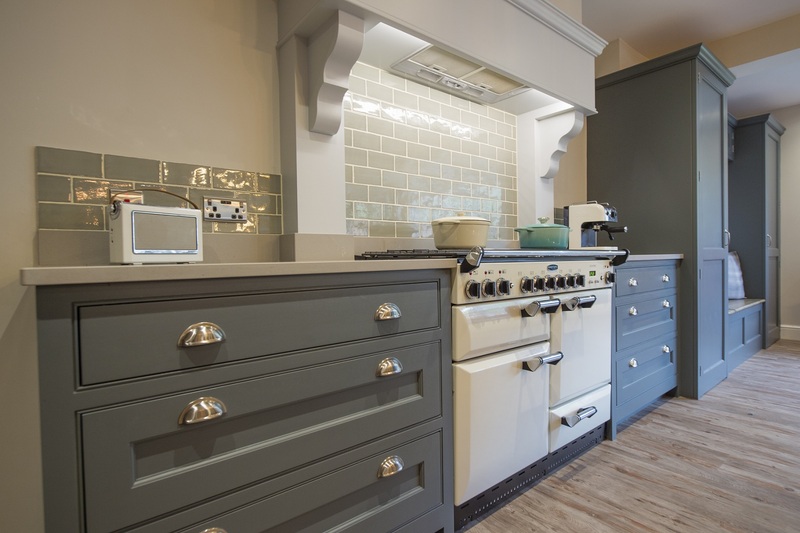 Clean-lined, classic cabinetry such as classic Shaker panels or practical tongue-and-groove boarding brings a touch of traditional design to a country style kitchen. 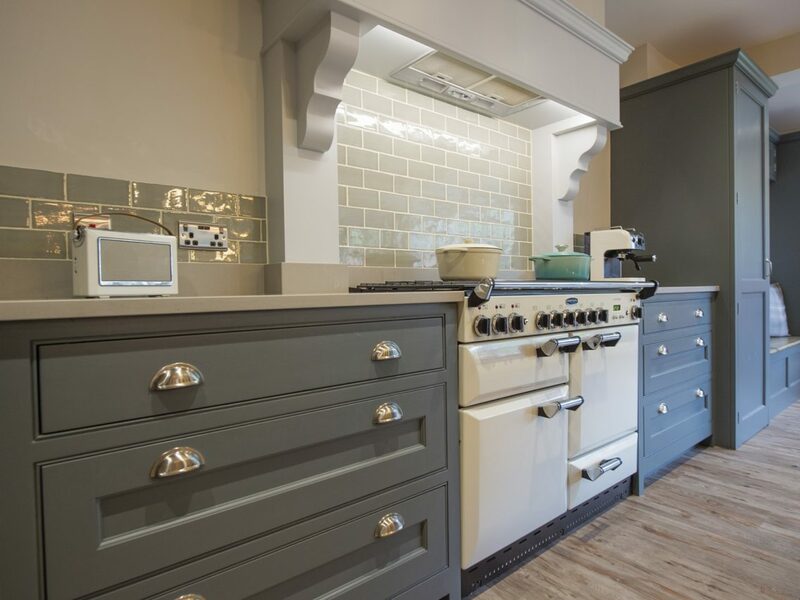 The look is completed by combining hand-painted cabinets, darker colour for the base cabinets and a lighter tone for the wall cabinets, with wooden or natural stone worktops and stainless-steel appliances sat alongside traditional AGA cooking. 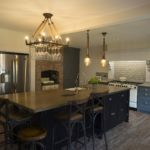 The country feel can also be created with un-fitted or freestanding kitchens where existing non-integrated appliances and much loved old pieces of furniture can be incorporated into the design. 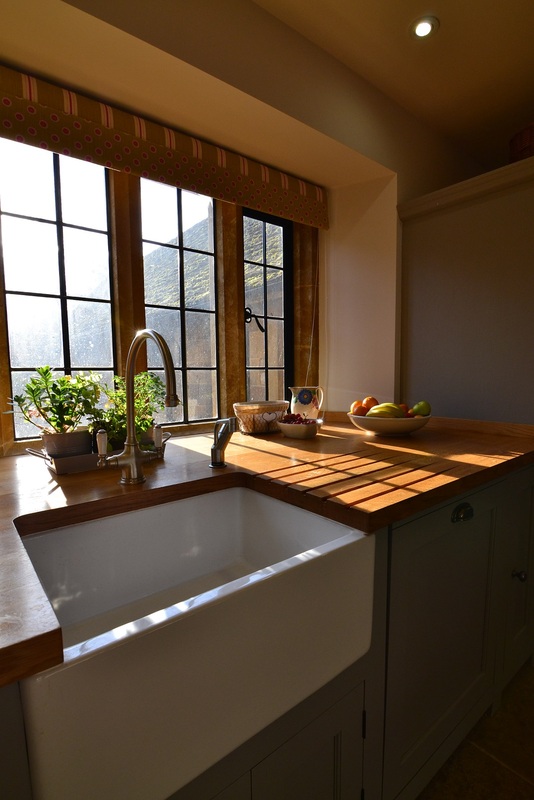 Un-fitted kitchens have the added bonus of allowing you to move things around if you fancy a change later on. 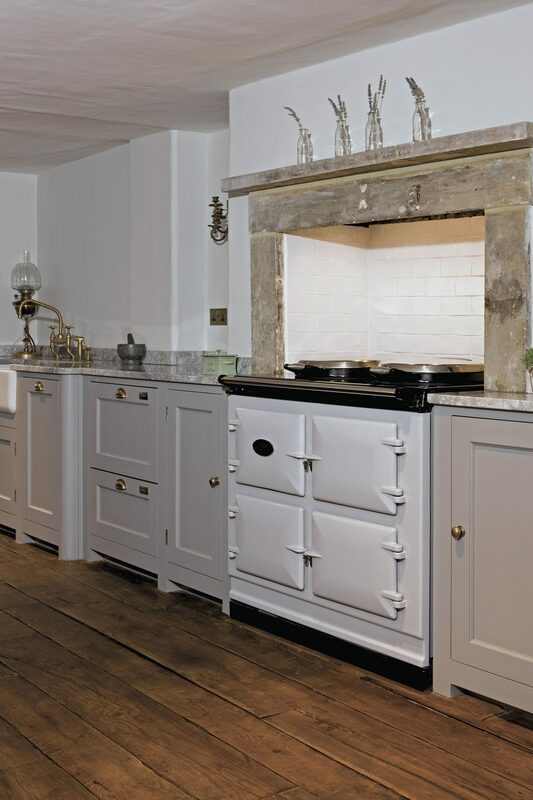 AGA range cookers, ovens and stoves, traditional Belfast sinks, Perrin & Rowe Pot Filler and Hot Water Filter tap.